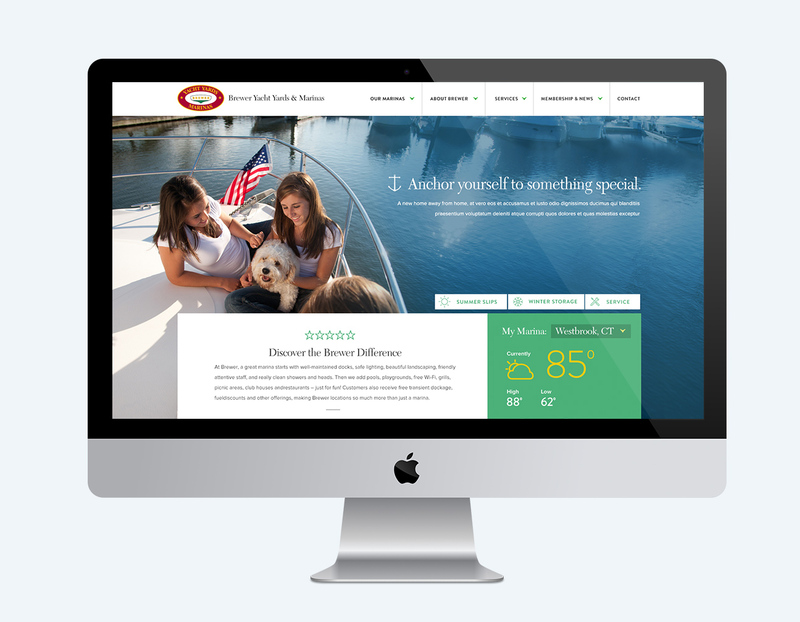 Corporate website template for Brewer Yacht Yards. 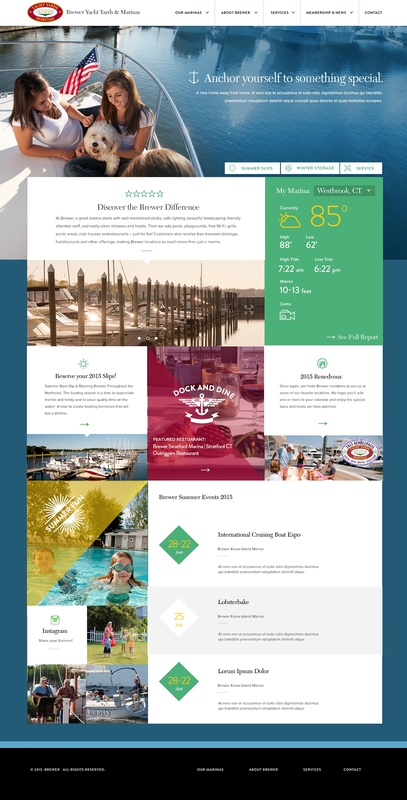 The challenge on this project was creating template to allow for the personality of each individual marina to shine through. The Marinas size and services varied greatly so an adaptable content system was created to scale accordingly with the forty plus locations.